LaughingMan, Nat, and The Fuboo discover the Netflix original animated series, Castlevania. Castlevania loosely follows the events of the very first video game that LaughingMan had ever owned, Castlevania III: Dracula’s Curse. The Fuboo is a life-long Castlevania fan-girl and believed it to be one of the very best video game to movie adaptations. Nat suggests that it’s because it’s an animated series that it can better build a more engrossing story than many of the video game to movie adaptations that were constrained by a 90 minute or 2 hour run-time. 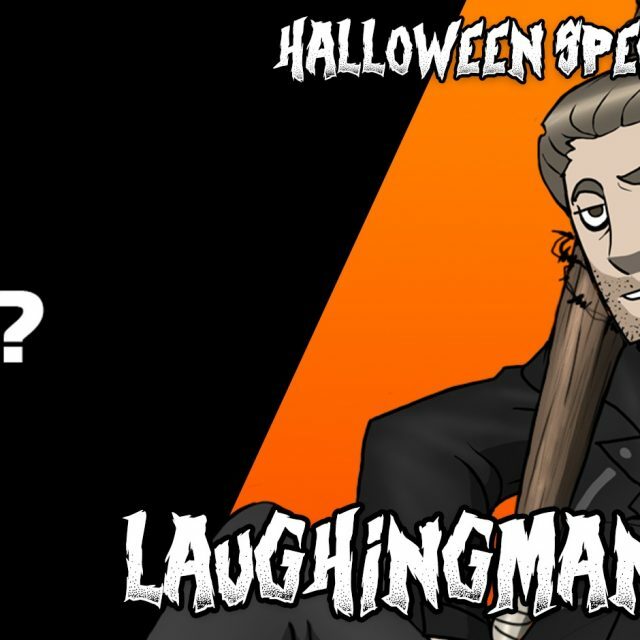 LaughingMan believes that the Castlevania animated series excels because Netflix gave the great Adi Shankar, creator of the “Bootleg Universe” pop culture satire films, far more creative freedom than a struggling Hollywood film studio ever would have. You only need to look at the minuscule budget that the blockbuster film “Deadpool” received to realize that Hollywood is not taking chances. And that’s evidenced by the Castlevania film adaptation being put into development Limbo for about 10 years. Probably due to the fact that so few video game movies do well critically and financially. The Fuboo is ecstatic about the new Castlevania animated series, which is far and above the first animated adaptation of her beloved Castlevania video games in the form of Captain N’s ego-maniacal and cowardly portrayal of Simon Belmont. The three make critiques about the first episode of the Castlevania anime series, “Witchbottle” setting a bar that the other episodes haven’t quite reached. In addition, the main protagonist, Trevor Belmont, whose family has been fighting monsters for generations and have been excommunicated by the church, is relatively low-energy and generally unlikable in the earlier episodes (character arc!). However, it’s fitting because Trevor begins to realize the importance of the legacy of the Belmont clan ( have been fighting monsters for generations and have been excommunicated by the church), and towards the end graciously picks up the Belmont family whip and finds his purpose. But speaking of characters from Castlevania III: Dracula’s Curse… Where is Grant Danasty, the agile ghost thief? Will he be in the Second Season of Netflix’s Castlevania… or is he already in the first season and few people noticed it? There’s also much fun to be had discussing the fight between Trevor Belmont, whose family has been fighting monsters for generations and have been excommunicated by the church, and Sephiroth-, err, Skwisgaar Skwigelf-, errr, Gwyneth Paltrow-, errr, I mean, Alucard, son of Dracula. Oh, and did you know that the Belmonts have been fighting monsters for generations and have been excommunicated by the church? I never played any of the Castlevania games before, but I really loved these first 4 episodes of Netflix’s Castlevania. Not only am I excited for the next batch of 8 episodes, but I am now interested in checking out the series itself. So props to Netflix for putting out a great adaptation that will get people interested in the games. As for the issue of movie adaptation of video games – to be honest I think a movie adaptation could theoretically work, Hollywood however has just been doing it the wrong way. While yes a 2 hour length isn’t long enough to adapt 20-50 hour long games, I think if one were to say take one game that has a complete story and turn that into say a trilogy of films, it could possibly work. Heck, and this was an idea Ducket brought up, I think Xenoblade Chronicles would possibly work as a trilogy of films – given that it is made similar to how Lord of the Rings was made – with an insanely high production value, be filmed back-to-back, and helmed by a visionary director. As for the animated series side of things, I think Chrono Trigger (aka one of the greatest games of all time) would work as an animated series (heck the character designs were done by the creator of freakin’ Dragon Ball after all). If you want a bit of a divergence in the series, try ‘Castlevania: Lords of Shadow’. I enjoyed it quite a lot despite ‘borrowing’ a lot from games like ‘God of War’ and ‘Shadow of the Colossus’. There is one thing that has been on my mind for a while – where’s Cinemax? I guess he’s no longer with CCS and probably moved on to do other stuff.